“THANK YOU” TO OUR RUNNERS, SPONSORS, AND VOLUNTEERS FOR MAKING THIS YEAR’S 5K RACE A SUCCESS! 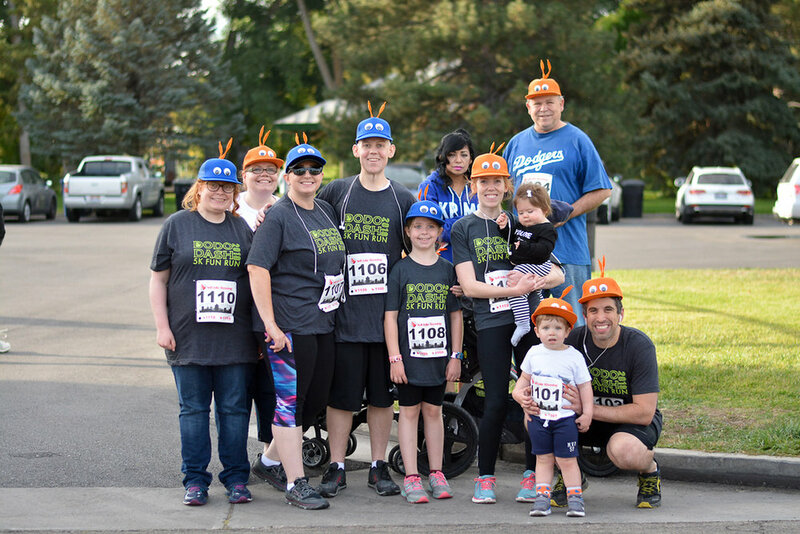 We can't say enough good things about the turn out at the 6th Annual Dodo Dash 5k Fun Run. This year marks the biggest and most successful event to date. And the kids race...how dang cute were those kids? We truly appreciate all you fine folks for supporting your community. One day, we will all look back and can say that we did our part to help complete the mighty Parley's Trail for generations to come. See links for results and photo gallery. We look forward to next year! This year included over 150 participants raising over $4,000 for expansion of Parley’s Trail. Learn more about the construction, function and symbolism of the Sego Lily Plaza. SALT LAKE CITY - A unique design project in Salt Lake’s Sugar House Park will be a functional piece of artwork, designed by an internationally known artist and engineer. Patricia Johanson designed the Sego Lily Dam. It is a flood-prevention infrastructure that is beautifully designed to look like Utah’s state flower, the Sego Lily. The Sego Lily Dam is also a narrative. Johanson's design includes the mountain walls of the Wasatch and the Oquirrhs. Johanson said she studied the Mormon pioneer journals, as they found and settled in the Salt Lake Valley. “The structures recount the story of the Mormon pioneers coming through Echo Canyon, which is the slot canyon down there, and it has all the features that were described in the journals-- the pioneers journals. So Cache Cave, the bird habitat the holes in the wall, these are things the pioneers wrote about. So basically, it was designed right out of the journals. They came where Mountain Dell Reservoir is and they talk about going through the maze of peaks and mountains so that is this," said Johanson. She also has designed other artistic infrastructure pieces in other states, like Texas and California. She said the Sego Lily Dam will be complete by the first week of December. We had over 130 participants this year! That means that PRATT will receive over $3,000 to be used towards completion of the Parley's Trail. Thanks to The Dodo restaurant and its excellent staff for its efforts to host such a successful event and for their continued support of PRATT and the Trail. A special thanks to Westminster College and the law firm of Jones Waldo for their donations. New sections of Parley's Trail are open! There has been plenty of exciting progress made in the last few months. The Roper Rail yard section (300 West to 900 West) is open. Plans are to construct a dedicated bridge over 900 west that will continue west and link to the Provo/Jordan River Parkeway. This element is in need of funding but we are hopeful that it will be complete within 5 years. The South Salt Lake Section plans are underway to connect the end of the S-Line trail to 300 West. Temporary route signage should be in place soon. The service project, planting 100's of plants and placing irrigation, is complete!!! Cisterns are now supplying water to the plants and we hope for a high plant survival rate. The trail is nearly finished! Thank you for your interest and support. Please continue to follow updates via our website and Facebook page. Thank you to the dozens of volunteers for your help!!! Hundreds of plants are now thriving along the trail and near Hidden Hollow in Sugar House. The Parley’s Rails, Trails and Tunnels (PRATT) Coalition is a 501(c)(3) organization.